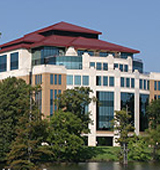 University of Louisiana at Monroe is a comprehensive liberal arts and professional institution located in Monroe, LA that is home to just over 8,540 traditional and non-traditional graduate and undergraduate students. It is unique in being the only university in Louisiana to offer a master's in gerontology, and is the only public university offering the Doctor of Pharmacy degree. Monroe is the birthplace of both Delta Airlines and the first Coca-Cola bottling plant, as well near the annual Greater Ouachita Rubber Duck Race. Describe the type of student who should not attend University of Louisiana at Monroe and explain why. Describe the type of student who should attend University of Louisiana at Monroe. Why? What is a typical University of Louisiana at Monroe student like? Describe the type of person that should attend University of Louisiana at Monroe. The typical ULM student is well rounded. They are focused on their academics, they are involved on an on campus organization, and they have a love for ULM like no other. What are the top 3 reasons someone should attend University of Louisiana at Monroe? What was a typical University of Louisiana at Monroe student like in high school? Describe the type of person that should attend University of Louisiana at Monroe. Since my appointment as the eighth president of ULM in the Fall of 2010, I have heard from countless friends and supporters who reinforce my belief that this university is on the precipice of one of the most exciting phases in its 80-year history. We are poised as never before to advance our mission and offer an excellent education, not only to the region and citizens of Louisiana, but also well beyond the state's geographic boundaries. Maybe you are an international student eager to learn in an American university, or a community college student seeking a transfer to a four-year university - whatever the reason for your visit, we welcome you and invite you to make ULM your home away from home! We all know that in order to fully embrace our future, we must also never forget to celebrate our past, and what an amazing past we have had at ULM. Even as our beautiful 238-acre campus continues to grow along the banks of Bayou DeSiard, our campus community continues traditions that began decades ago to promote our academic, social, and cultural lives together. With a student enrollment annually approaching 9,000, you will find friendly staff ready to serve you and exceptional faculty willing to provide individualized attention, while also offering an array of challenging opportunities. ULM prides itself in the rigor of its academic programs. Some of our academic highlights include hosting the state's only public College of Pharmacy, with graduates who can boast a passage rate of over 95 percent, as well as a toxicology program that is the only one of its kind in the southeastern United States. Our College of Business Administration accounting graduates recently exceeded the passage rate of graduates from every public school in Louisiana taking the CPA examination. In addition, our College of Education's teacher preparation programs have been highlighted in the New York Times and on the nationally syndicated public radio program, Marketplace. Our College of Arts and Sciences offers the only freshman biology research program in the state that participates in the National Genomics Research Initiative, sponsored by the Howard Hughes Medical Institute; and finally, the Louisiana State Board of Nursing has published results from the NCLEX exam that show our College of Health Sciences produces School of Nursing graduates who outscored students from all other bachelor degree programs in the state. Albert Einstein said, "No problem can be solved by the same consciousness that created it. We need to see the world anew." We are adapting to the changing environment of higher education in a global market. I am confident this university will continue to produce high quality graduates who contribute to society at every level, and I extend to you a personal invitation to Discover U at ULM! What are the top 3 things that students do for fun at University of Louisiana at Monroe? Campus housing is available for undergraduates. Housing deposit : $50.00. Housing deposit due : Jul 1. Housing deposit is partially refunded if student does not enroll.. Freshman allowed to have car. No pets. 54% of freshman live on-campus. The average student pays $7,162 for tuition, fees, and other expenses, after grants and scholarships. Total stated tuition is $4,532, in-state and on-campus, before financial aid. Learn more about financial aid at http://finaid.ulm.edu/. Estimate the net price for you at http://webservices.ulm.edu/price_calculator/npcalc.htm. The typical (median) early career salary of University of Louisiana at Monroe graduates is $41,400, according to Payscale. University of Louisiana at Monroe participates in the NCAA Division I-A for college athletics. Want more info about University of Louisiana at Monroe? Get free advice from education experts and Noodle community members. I need information about doctor of pharmacy degree?